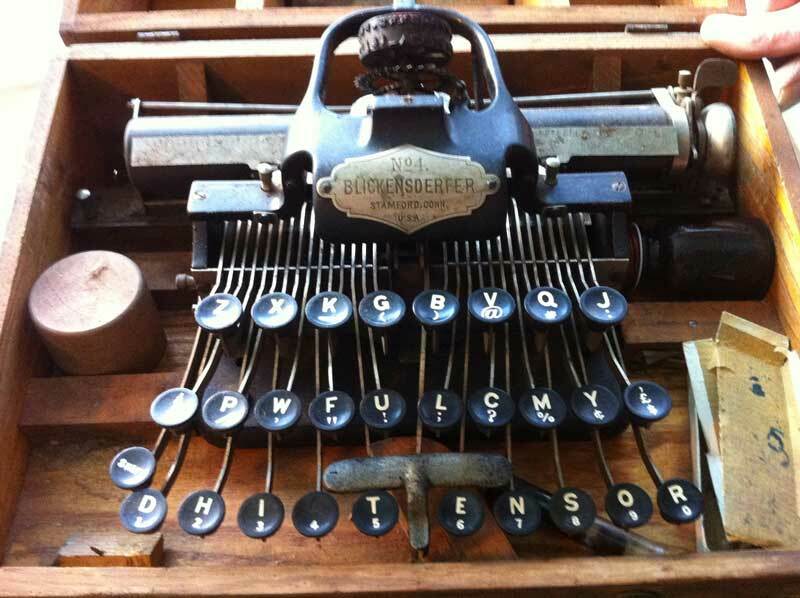 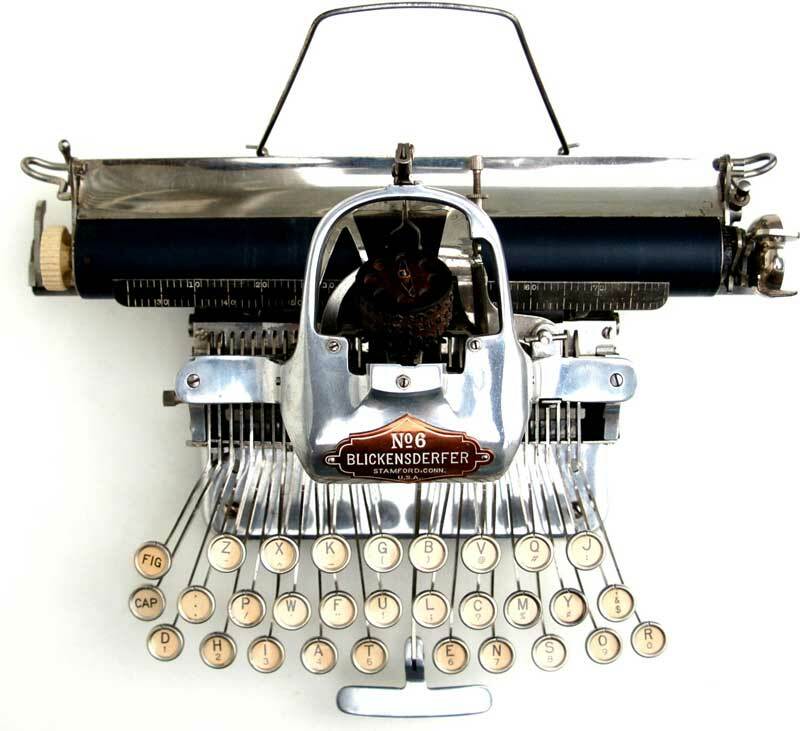 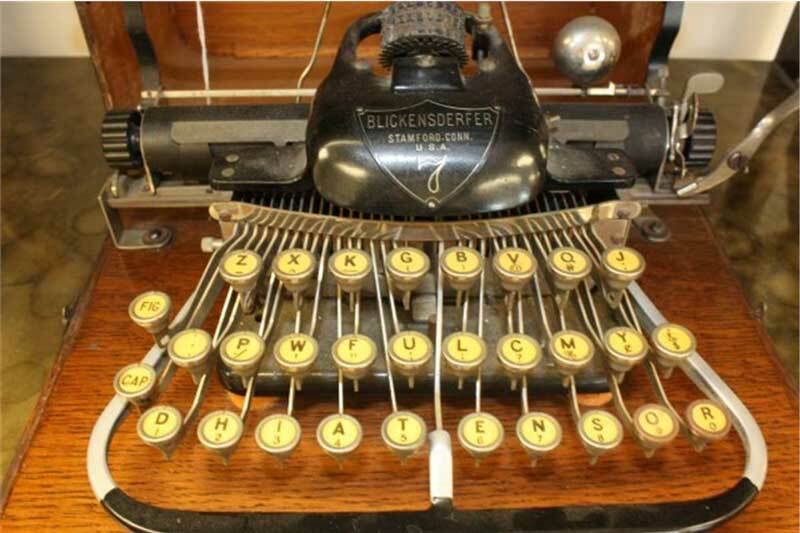 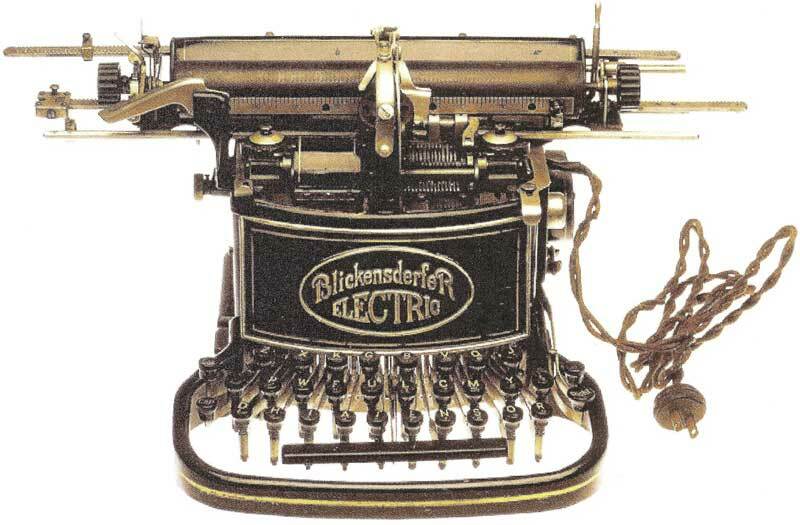 The Blickensderfer line includes George Canfield Blickensderfer (1850-1917), who invented and manufactured the first "element" typewriter (similar to the IBM Selectric, which came much later). 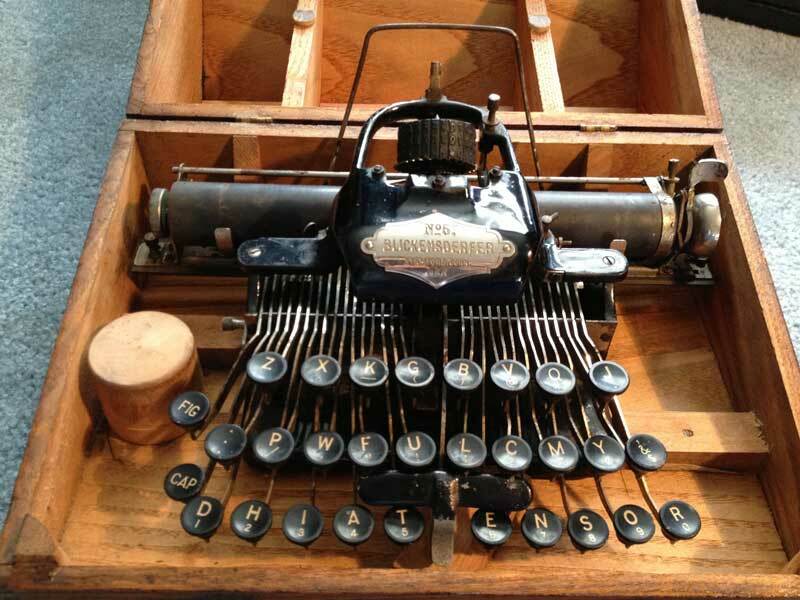 I am providing these images and descriptions as a service to those with little more than a passing interest in such matters. 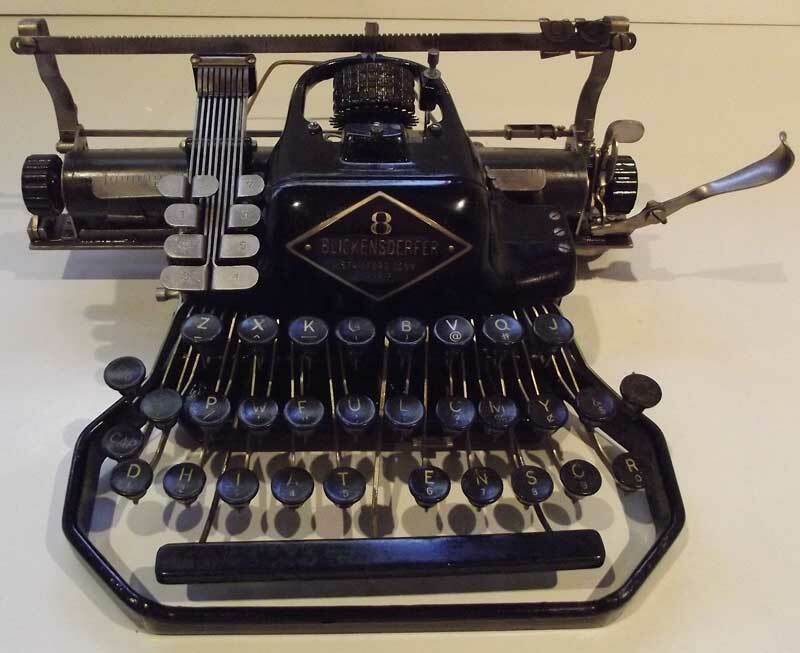 I don't know much about typewriters, so if you are looking for typewriter information, you're better off contacting someone else — I won't know the answer to your question, no matter how simple it is. 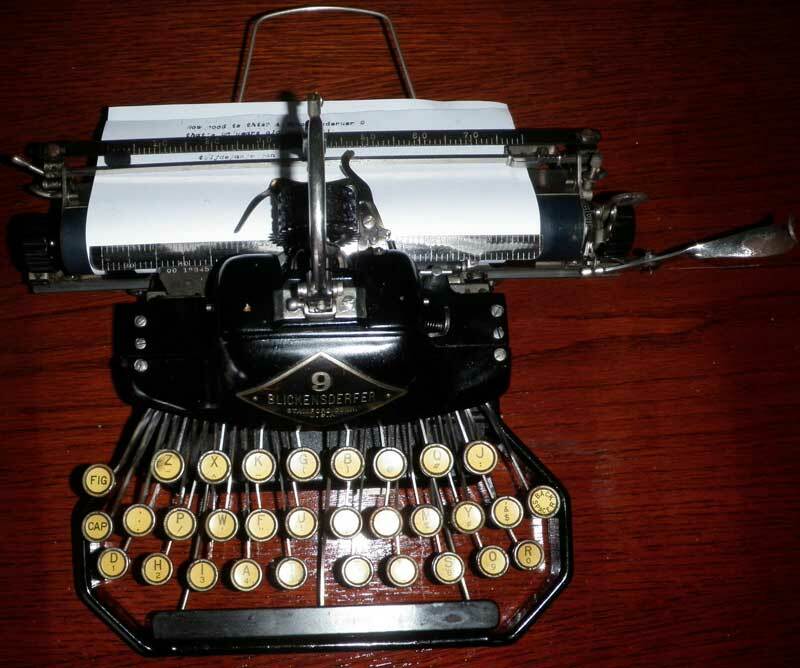 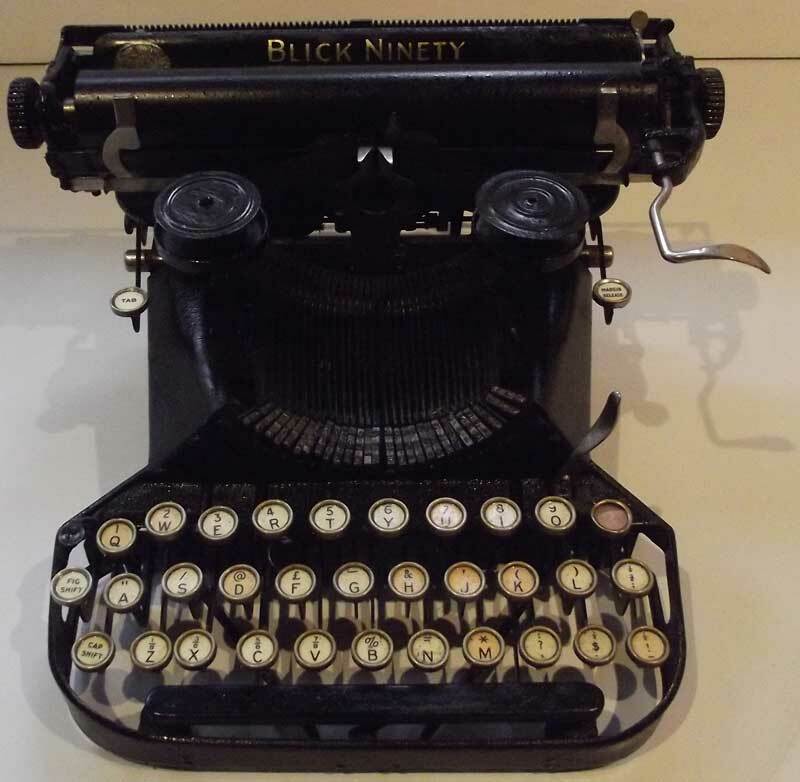 For more about Blickensderfer typewriters, there are plenty of sources on the Web and elsewhere, including Antique Typewriters and Office Collectables 'The Book', by Darryl Rehr, ISBN 0-89145-757-7.